Students in DCU voted to re-affilate with the Union of Students in Ireland by 768 for and 642 in opposition. AFTER A DECADE apart, DCU has voted to re-affiliate with the Union of Students in Ireland. Students in DCU voted to re-affiliate with the Union of Students in Ireland (USI) this evening, after more than a decade outside the national representative body. This result follows Maynooth’s decision to remain affiliated, with close to 87 per cent of students there voting ‘Yes’ to USI. In DCU meanwhile, 768 students voted to affiliate, with 642 opposing re-affiliation. In Maynooth, 1639 students voted ‘Yes’ to affiliation, with just 253 opposing. These positive results come after a vote for affiliation in Trinity in the first term. We are delighted to welcome DCU back into USI after more than a decade since they were last members. 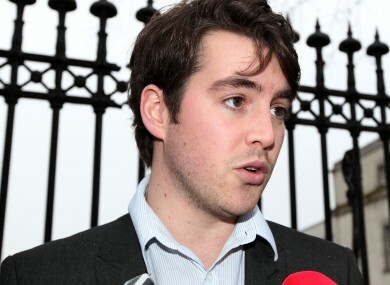 This result comes after Maynooth students reaffirmed their commitment to the national union earlier today. I hope that DCU students will now play an active role in our national campaigns and join with their peers across the country in fighting to protect and striving to enhance the student experience. The news came a day after UCD voted to leave the national union. UCD Students’ Union will formally disaffiliate from USI a year from now. Logue described it has having been “a strange 48 hours”, saying “the unique circumstances in UCD, with their Students’ Union in financial difficulty, resulted in a vote to leave USI to focus on local issues”. I have no doubt we will work with UCD again in the future and, with the return of DCU and a reaffirmation of Maynooth students’ support, USI can only go from strength to strength. Email “DCU votes to affiliate with USI after decade apart”. Feedback on “DCU votes to affiliate with USI after decade apart”.